Nokia 5.1 Plus₹ 9,999 has started receiving its Android 9.0 Pie update. To recall, the smartphone was launched with Android 8.1 Oreo back in August, and this is its first version update since the date. The Android 9.0 Pie update rollout for the Nokia 5.1 Plus follows a similar rollout for the China variant of the smartphone, the Nokia X5, earlier this week. The rollout was announced by a senior HMD Global executive on Twitter, and the update should become available globally in batches. 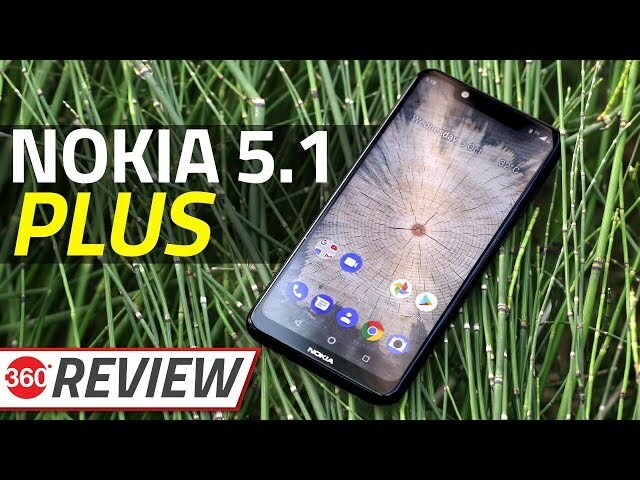 HMD Global Chief Product Officer Juho Sarvikas on Thursday announced via Twitter that the Nokia 5.1 Plus (Review) has started receiving its Android 9.0 Pie update. A user has shared the changelog of the update, which has version number v2.09B. It brings standard Android Pie features like Adaptive Battery, Adaptive Brightness, and more. It also brings the December 2018 Android security patch. The update is seen to be 1214.4MB in size. As we mentioned, the announcement follows the start of the Android 9.0 Pie update rollout for the Nokia X5, which was launched in China back in July. To clarify, the Nokia 5.1 Plus the China variant of the Nokia X5. Also as mentioned, the Nokia 5.1 Plus was launched globally in August, before being launched in India in September at Rs. 10,999 for its 3GB RAM/ 32GB inbuilt storage variant.